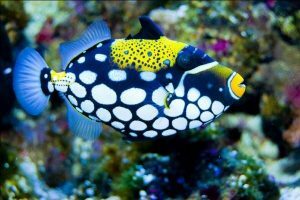 The clown triggerfish (also called, the big-spotted triggerfish) is a small sized fish found in the demersal zone of the tropical waters in the Pacific and the Indian oceans. These fish are known for their vibrant coloration, dramatic patterns, and exotic looks, and are highly prized in the pet trade. Size: The adult of the species can grow up to 50 cm in length. Head & Body: The head of the fish is large and constitutes almost one-third of the body’s size and weight. 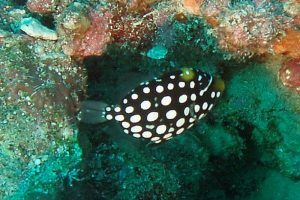 The background color of the body is black with the ventral part patterned with large white roundish spots. 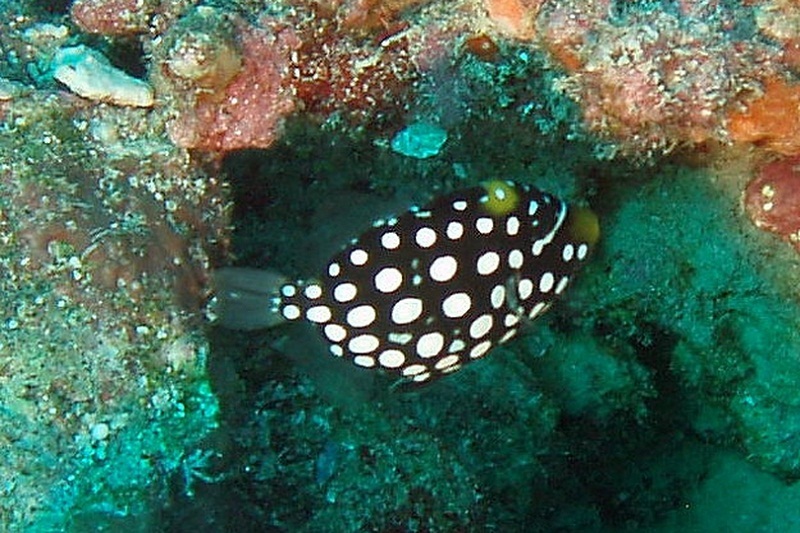 The skin around the first dorsal fin has yellowish leopard-like patterns, a yellow ring around the mouth, further surrounded by a fine white border. Tail: The tail is broom-like that allows extra propulsion when they need. Jaws/Teeth: The teeth never stop growing; the dentition includes eight sharp teeth at the front part of the mouth, six behind these, and molar-like teeth for grinding in their throat. Sexual Dimorphism: The sexes have no visual/external differences. 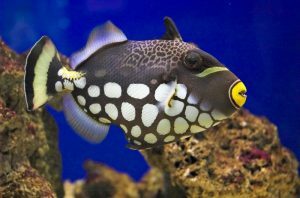 Clown triggerfish usually live for around 8 years in the wild, but can live for up to 20 years in captivity or as a pet (in aquarium or fish tank). They are widely spread throughout the Indo-Pacific belt, without any subspecies. Their range includes the coastline of East and South Africa, from Samoa to Indonesia, extending to the southern parts of Japan, as well as the eastern coast of Australia. 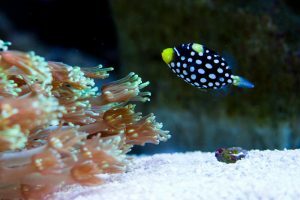 They prefer the clear tropical and subtropical waters of the coral reefs. The clown triggerfish is a solitary fish that would live in groups only during reproduction. They are diurnal in nature and are highly active all day. The males are territorial and would guard their territories at any cost. They have a highly aggressive nature and would even inflict a bite with their small sharp teeth when threatened. When it comes to attacking a competitor, enemy or a predator, they will pull out their first long dorsal spine. These are carnivore fish that live upon a wide variety of species of fish, crustaceans, mollusks, echinoderms, including shrimps, shellfish, small squids, as well as, corals and marine algae. During the mating season, one male takes care of a harem of two to five females that make their own nests for laying eggs by digging the sand and depositing the eggs there. Interestingly, it’s the duty of the father triggerfish to protect all the sets of eggs, since the mothers leave the site soon after laying and comes back only after they hatch. The males are a good guardian since they would attack anything, even the divers if they come close to the eggs. 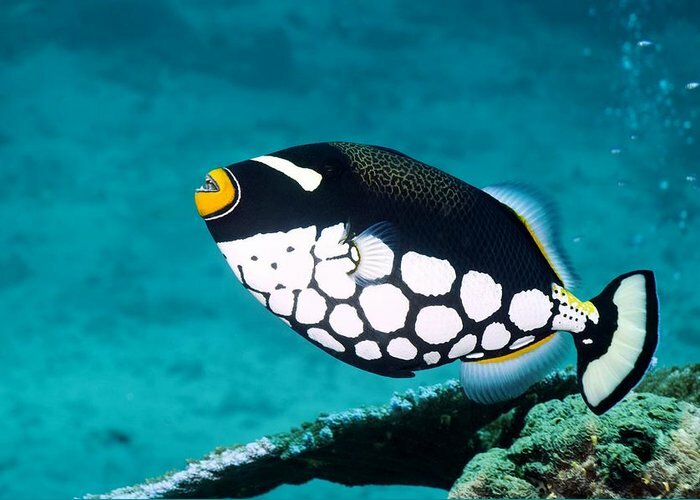 The eggs are green in color and are fertilized by the male triggerfish. It takes around eight days for the eggs to hatch. After all the young fish hatch out of the eggs, they are cared for by the mother. Spawning occurs deep down under the water, and the juvenile fish will remain in the depths until they are about 15 – 20 cm by size. The fries turn adult and attain the age of sexual maturity when they are approximately a year old. 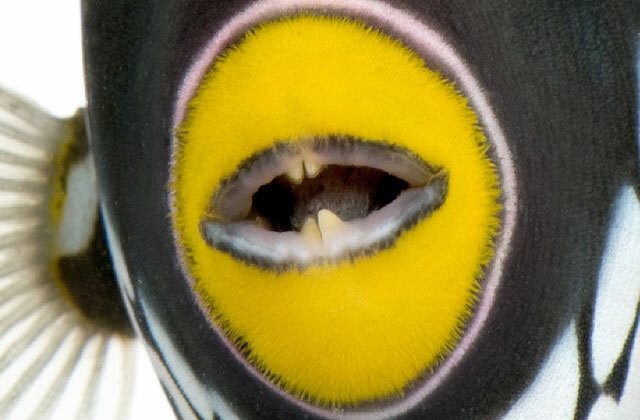 Triggerfish use a unique wedging tactic. It uses its three dorsal spines to keep itself locked and fixed inside a hole or crevice it takes refuge in, when attacked. The strong toothy jaws of the fish help it in two ways. First, to hold itself tightly in a place, as the rows of teeth can grasp the edges of the crevices. Second, help them crush sea urchins and crustaceans for consumption. 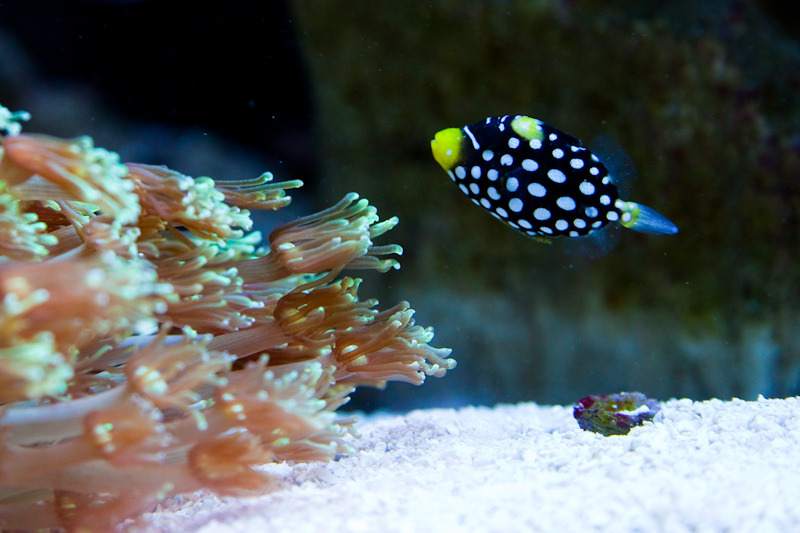 The colors and patterns of the creature help them confuse predators by blending them against the coral environment. The list of enemies of the triggerfish is long. In fact, all carnivore species that share their habitat prey upon the fish, including the sharks of the coral reefs, large squids, octopuses, and several other fish species. 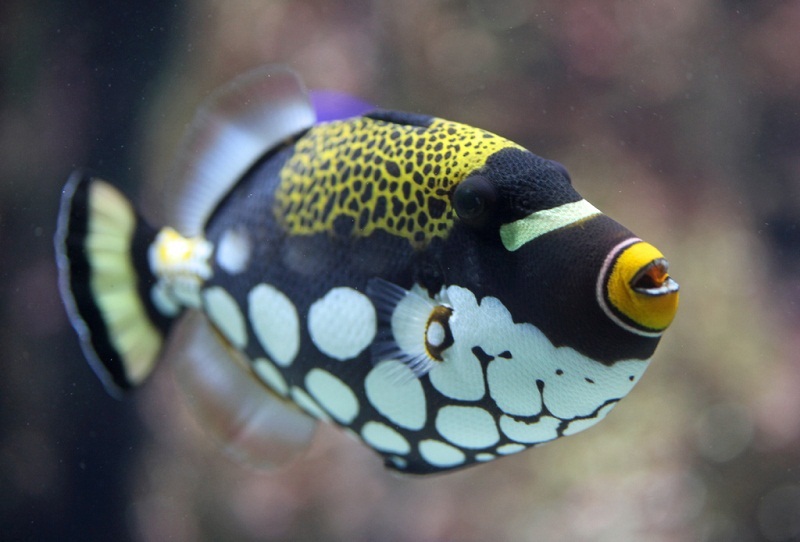 The clown triggerfish has not been enlisted by the IUCN. Clown triggerfish sometimes grunt when escaping from predators. 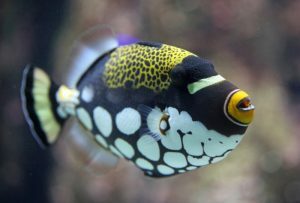 The fish will eat up any other smaller fish or crustaceans kept as its tank mate. 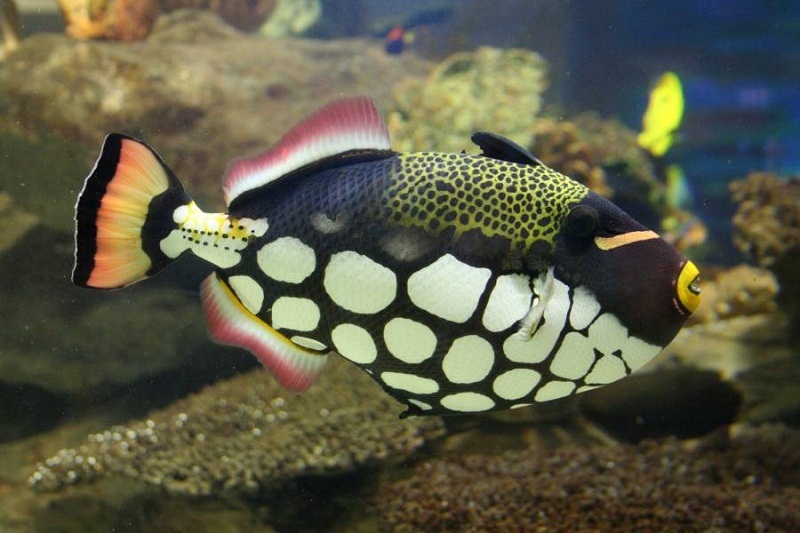 The fish gets its name for the unusual coloring and pattern, quite like a clown or jester. In the ocean, the fish lives at a depth of 3–250 feet. 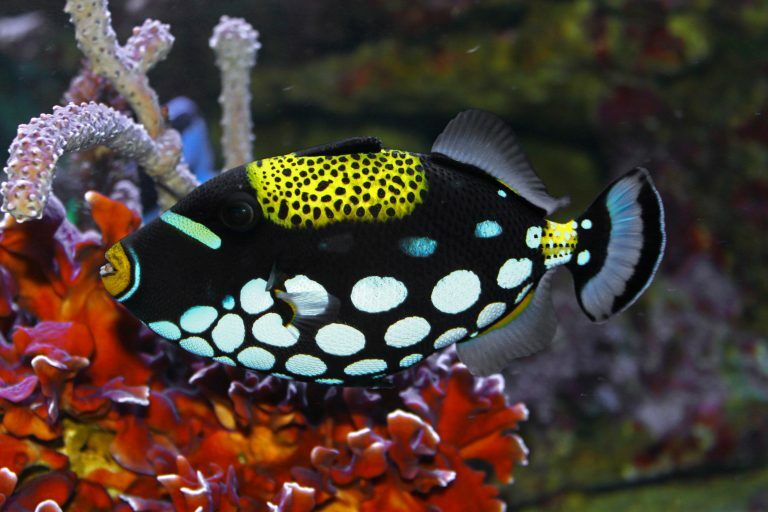 These fish can often be tamed, and are frequently seen feeding from human hands.